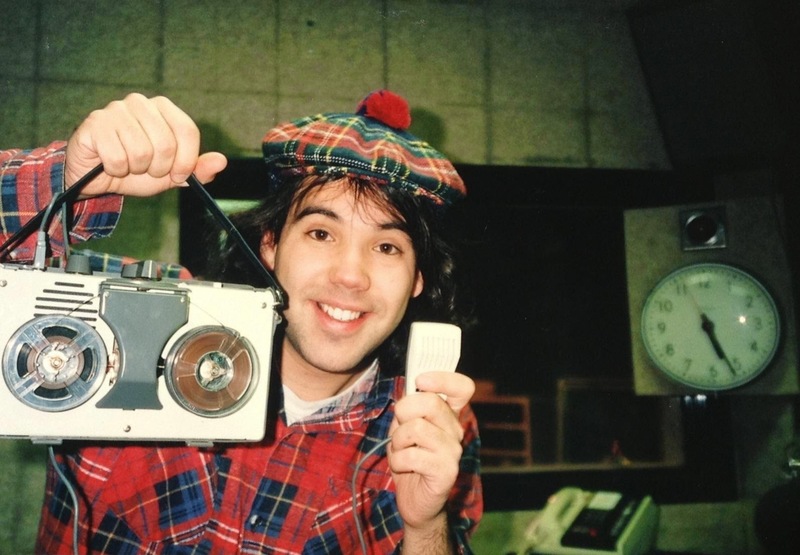 Nardwuar The Human Serviette News: New Pics Added to The NardGallery! New Pics Added to The NardGallery! Just posted a bunch of photos in the NardGallery ! Here I am in February 1993 in the DJ Booth at CiTR Radio where I still do a radio show / podcast every Friday afternoon at 3:30pm (pacific). You can listen live at www.citr.ca or find the podcast on iTunes . Thanks for Jennifer Fleming for saving this pic ! Doot doo !